Order 6 or more of any same priced product and receive the discount. Offer your clients the latest in behavioral information by trusted leaders in the industry. Use Promotional Code: 160802 The shopping cart will automatically calculate your wholesale price. 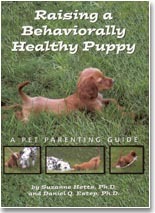 Raising a Behaviorally Healthy Puppy. Winner of the 2005 Evvy Award! Help! I’m Barking and I Can’t Be Quiet. Be ready to help your clients solve the #1 most common dog complaint. Barking!! 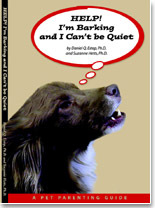 This innovative new book helps owners identify the causes of barking and devise strategies to solve them. 76 Ways To Get Your Dog To Do What You Want Create a great relationship with your dog. Gentle training tips that really work without using force, intimidation or confrontations! 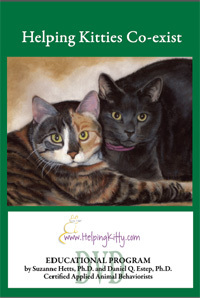 50 Tips About Cats and Litterboxes. Be prepared with the latest in basic dog and cat behavior. Our booklets are designed so you can customize with your business logo and information. 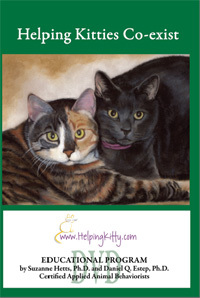 Great hand outs or include in puppy or kitten packages! All these great titles are available on Audio CD. They will play in any CD player so you can listen to them at home or on the go. Barking, Jumping, Threatening, Door Dashes. Learn more than ten different strategies.